The thought of getting locked in an unusual place for a night is a common one. People dream about it, The O.C. did an episode about it, and churches/schools turned the phrase ‘slumber party’ to the more terrifying yet somehow PC friendly ‘lock-in’. I’d go as far as to say that this is the most common outlandish dream outside of showing up to school or work in your underwear. The dilemma of getting locked in a mall or school overnight is an easy case to solve – take out your phone, call someone and say “Hey, I’m locked in a mall can someone get me out of here?” But, what happens if you want to get locked in somewhere? More specifically, most of us Disney fans have thought at the end of the night about wanting to just stay inside the park instead of trudging back to our car/bus/hotel. 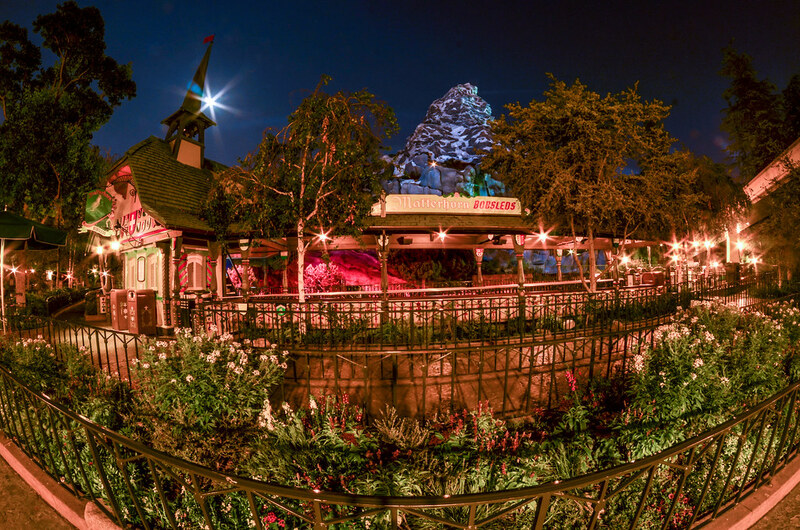 I’d go as far as to say that if you’re a regular reader of this blog, you probably would be excited about staying the night inside of the parks. Now, there are many things to consider in developing a plan of getting locked in the parks once they close (don’t get any ideas, it won’t work). Since most of those plans would be illegal, to an extent, we’ll just keep up the pretense of ‘accidentally’ getting locked in there. As I said, there are many things to consider once locked inside of the parks for the night but I’m a simple man. A founding father once said, “Give me food, give me drink, but most of all give me sleep.” (I don’t know what founding father to credit for that quote.) I couldn’t agree more with that sentiment as I thoroughly enjoy sleeping and would want a pleasant, relaxing night once locked inside a theme park. It’s with that in mind that I bring you ‘Top Ten Disney Park Buildings To Stay The Night In’. Now, there are rules. We want this night to be comfortable but not overly so. With that in mind, no staying in suites or hotel rooms. 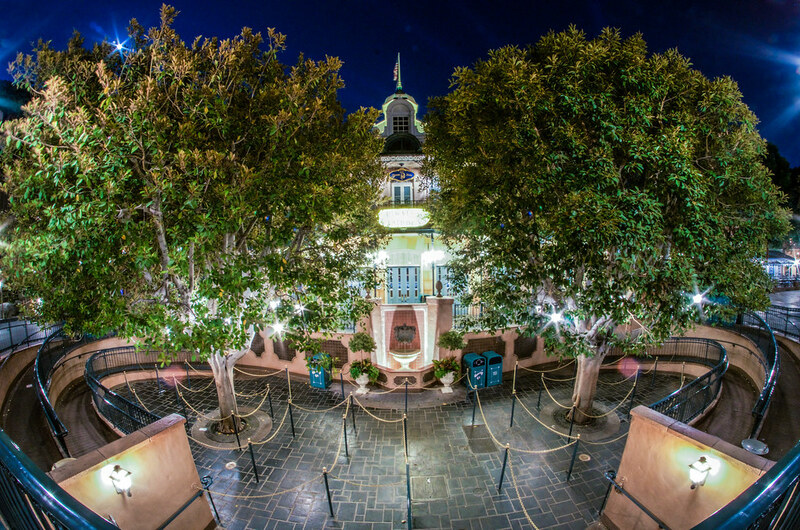 Yes, staying in Walt’s room in Disneyland would undoubtedly be incredible. 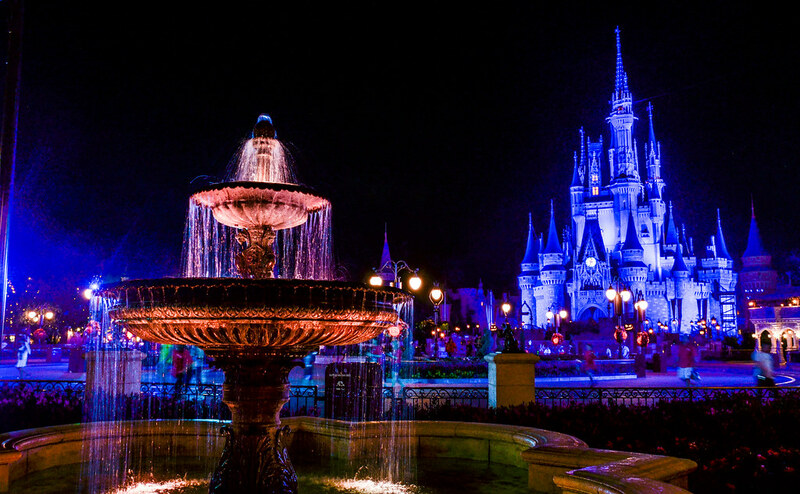 We all know that staying in the Cinderella Castle Dream Suite would be priceless. Basically any place that was made for staying the night in is outlawed from this top-ten list. While we’re at it, let’s just assume that riding attractions isn’t a priority at night. We don’t want to draw suspicion to ourselves and this list is strictly about staying the night in a place you aren’t supposed to stay the night in. In these rankings, buildings is a loose term. I’m considering restaurants, theaters, shops and attractions of any kind. I don’t actually care if these places are actual buildings or are outside. Also, you can explore parts of these buildings that aren’t customarily open to guests. 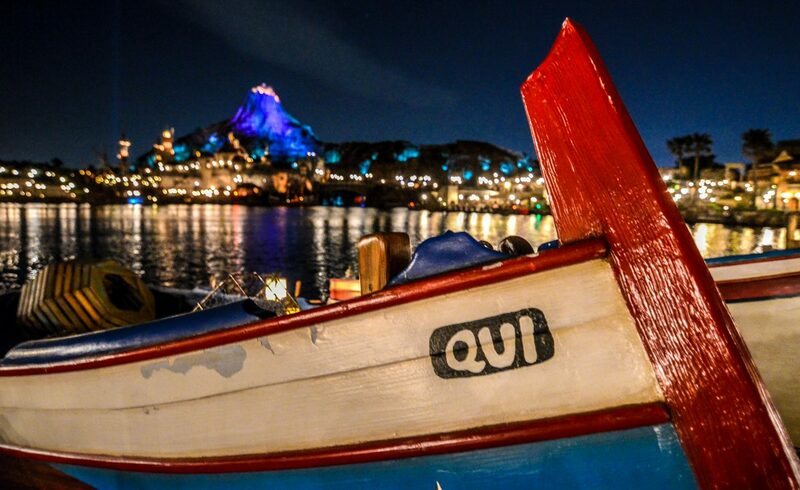 Want to sleep on that boat in the finale of Splash Mountain? Great, but beware of all those audio-animatronics staring at you. Want to stay on the top floor of Hollywood Studio’s Tower of Terror by all of those creepy figurines on the side of the track? Fine, but that’s an absolutely terrible choice. While we’re on this subject, let’s pretend that the attractions do turn on once in a while. I’m sure that cast members need to do some testing and such so this isn’t that big of a stretch. It’ll make it more fun! The last rule (until I think of more) is that I’m just using America’s Disney Parks. Once I visit the international parks I will update this sure-to-be-famous post. That was a joke. Comfort – Everyone wants to sleep in the most comfortable place possible. Waking up with a back and neck ache is no one’s idea of a good time so let’s just try to avoid that. ‘X Factor’ – Yeah, sleeping in a restaurants booth may be comfortable but no one should be bragging about sleeping in the booth of some restaurant. All of these other places to sleep and you choose a booth in a restaurant? Imagine the ridicule you’d receive from friends and family with that decision! Choose a cool place to sleep for goodness sake. Safety – This issue is two-fold. First, you don’t want to die. Sleeping on top of Expedition Everest is great until you roll over and slide down 200 feet to your death. Second, no one wants to be caught by the cleaning crew. In this instance, we’ll just say the cleaning crew is doing a quick run through of the park instead of sweeping every corner. If we go that route, this becomes a lot easier for the writer. Practicality – This could go in with safety but I view this category as an overview. 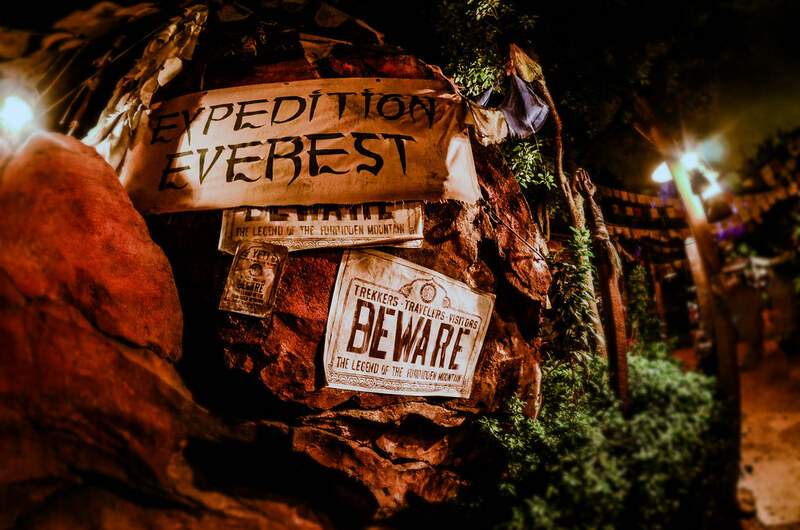 Sleeping on Tom Sawyer Island would be fun, but how would you get there? Like I said, sleeping outside is fair game but will you be able to stay warm or dry? This category is here to balance those questions out. These are all great places to sit down and look at something, but a dumb place to spend the whole night. 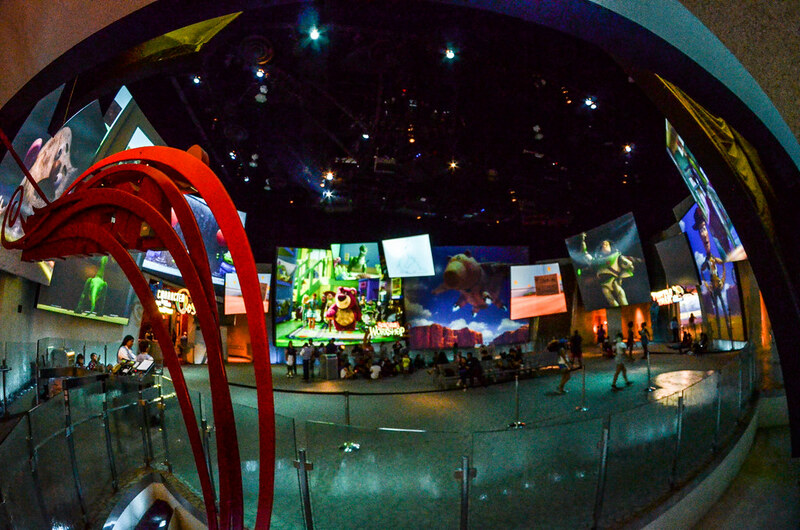 The Hub is supposed to feel like an actual park and mostly accomplishes that. The grass areas would surely be comfortable to lay around in and you’d wake to a wonderful view. But if you were to spend the night here, you’d be out in the open and surely caught. You’d also be completely uncovered. In other words, The Hub ranks highly in comfort and pretty high in ‘X Factor’ but falls off considerably in practicality and safety. If I was to rank the honorable mentions, this would end up around 11 or 12 though. 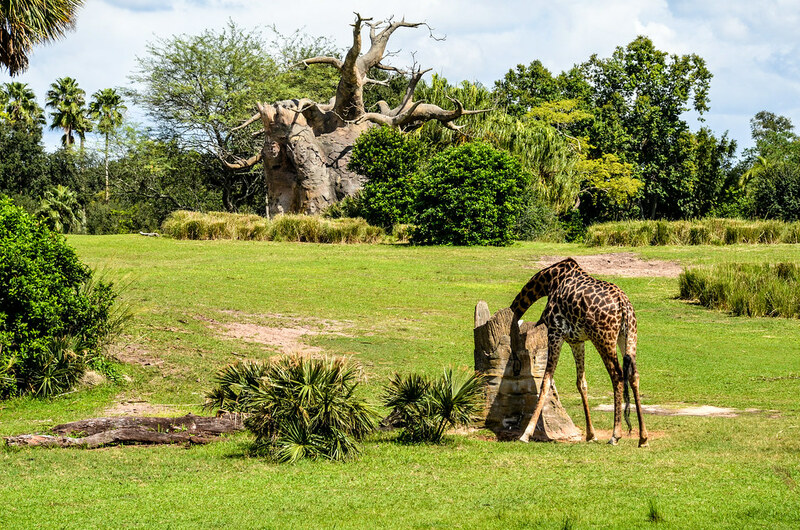 Speaking of sleeping outdoors, the Discovery Island Trails offer basically what The Hub does but instead with a view of the Tree of Life. An added X Factor here is that there are some animals sleeping right by you. Sadly, you’d either have to sleep on concrete or a bench. Also, you’re still outside. The animals add a nice element of excitement and danger, but the sleeping would not come easy being outside and uncomfortable. The same could be said for Radiator Springs Racers. I like this option due to the sleeping under the stars element. There is less light pollution in this area so sleeping outside in desert part of RSR is appealing. This is also a nice hybrid option where you can sneak inside for a while and warm up if you get cold. Still, I can’t get past the fact that either you’re sleeping really close to a track (don’t get run over!) or sleeping in dirt, sand or rock. Ever fall asleep on the beach without a towel under you? Me neither but it sounds terribly unpleasant. Katsura Grill’s outdoor seating is one of the most peaceful areas in a Disney Theme Park during the day, so who wouldn’t want to stay the night there? Well, it wouldn’t work out well for a number of reasons. The restaurant isn’t very comfortable in their seating, so if you stayed indoors there are limited and uncomfortable options. Outside is even more uncomfortable and I saw snake crawling around there last time I was sitting outside. Just a little snake but no one wants that scaling around while sleeping. We run into that sleeping outside with little cover issue. If you slept inside it takes away a large portion of the X-factor. As a hybrid indoor-outdoor option, this is decent but we can do better. The last of this list is basically any store that faces a park icon. I picked Island Mercantile as the leader of this pack as I love the Tree of Life and this store offers a pretty good view of it. Casey’s Corner would be a castle park equivalent of this store if you’d rather. Still, I can’t get over the feeling that sleeping in a store would be pretty uncomfortable and kind of lame. With that being said, you could cover yourself and stay warm with whatever the store is selling (hopefully clothes). I’m starting to talk myself into this option, so I think it would fall just outside of the top-ten. This category of honorable mentions is buildings that are cool or comfortable but no one would care about hearing how you spent the night there. Sure, your parents or best friend might fake some interest in your story but once you left they’d question why in the world you decided to sleep there. 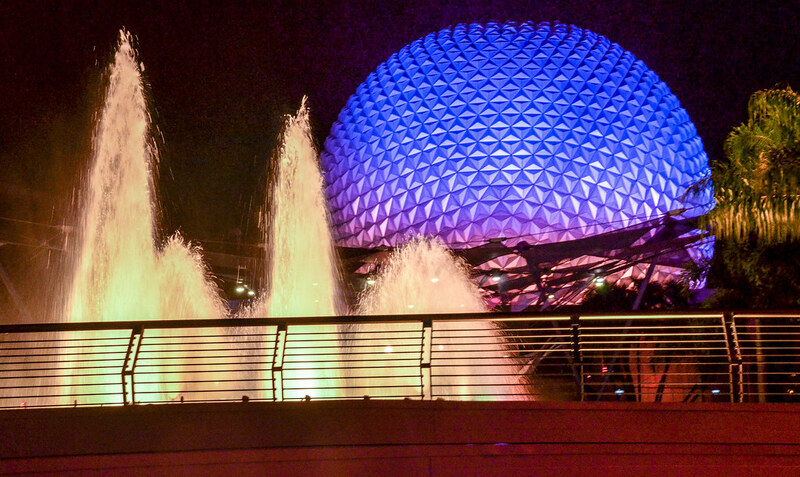 The first of these buildings is the lobby to Reflections of China in Epcot. The true name for this building is The Temple of Heaven. Sweet place to sleep, right? There are long benches here so that would be decently comfortable. You’d be somewhat out in the open but not outside and there is plenty of space in the building if one area isn’t working for you. The Temple of Heaven scores high in practicality but otherwise earns average scores. No one recognizes this building outside of Disney nerds and there isn’t really anything that exciting inside. 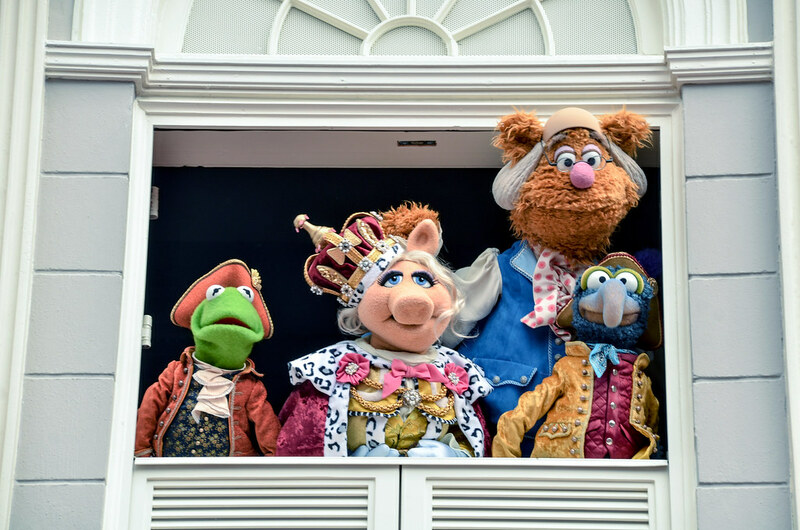 The Heritage House gets honorable mentioned because it houses The Muppets Present… Great Moments in American History. I like the idea of just hanging out on the second floor (bonus points, second floor is cool) next to Kermit and the gang. With that said, I doubt the floor is too comfortable and there really isn’t anything else exciting about the building aside from the chance that there will be muppets lying around. Goofy’s Playhouse might be the most comfortable place I mention on this list Goofy’s Playhouse is a comfortable option. The floor is pretty bouncy and sleeping here would be like sleeping on a water-bed that’s filled just a little bit too much. That’s good relative to all the other choices in this insane post. Unfortunately, Goofy’s Playhouse doesn’t have much else going for it. Located in ToonTown, there isn’t anything special about the place. Also, a bunch of 3-6 year olds all bounced around in this area. Good grief, you don’t know what’s happened on that floor. It’s staying off the list. This section is devoted to those that missed the cut because of sleeping distractions. Sci-Fi Dine Inn offers a nice place to kick back and relax. I enjoy falling asleep to a movie and this restaurant in Hollywood Studios offers that option. Yes, we are just assuming that the movie never shuts off. The nice thing about falling asleep to a movie is you can wake up, shut it off and then fall back to sleep. No such luck here and that’s why it misses the cut even with decent scores in most categories. 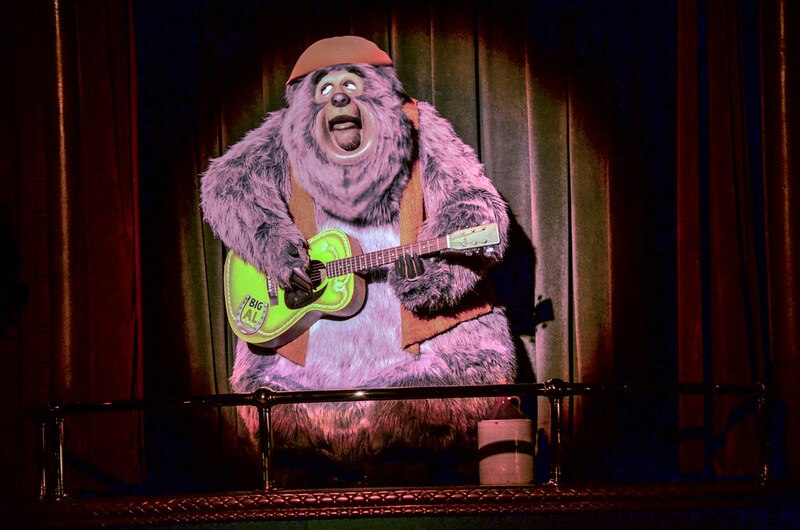 Country Bear Jamboree has the same issue. Obviously those bears are going to want to play most of the night and even if they aren’t you’re going to wake up, forget where you fell asleep and be terrified that bears are staring at you. With all that beings said, I’d love to fall asleep on the stage here, maybe cuddled up next to Big Al. I just don’t think I could last the night. The TTA is a really comfortable ride, maybe more so than any other Disney attraction. 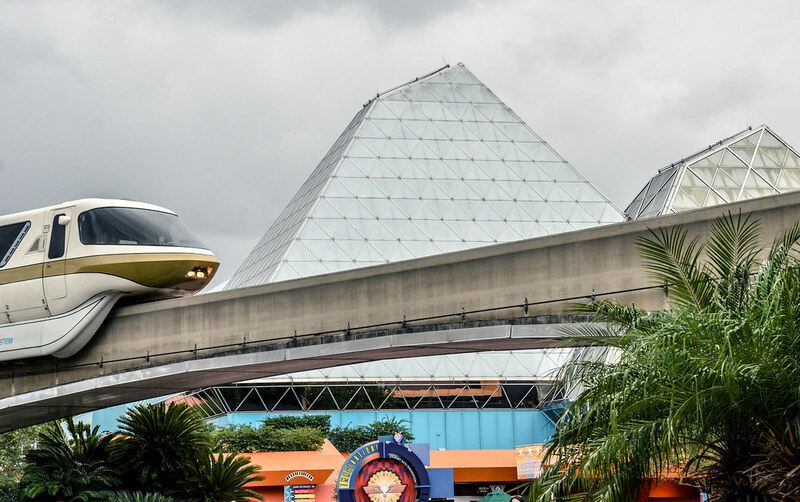 As you’re zipping through Tomorrowland in the ride vehicle, it’s nice to put your feet up and relax. This isn’t a great option for staying the night though because the constant moving and wind blowing against your face would be distracting and cold. You also couldn’t fully lay down here and laying down is great. For the two people who have read this far, we’re finally to the top-ten! Bonus Points – No way. Bonus Points – It already has too many points, so no. Bonus Points – I love them, but no. Safety – This one is tricky. You won’t be caught once inside the building. You won’t die unless you do something really stupid. 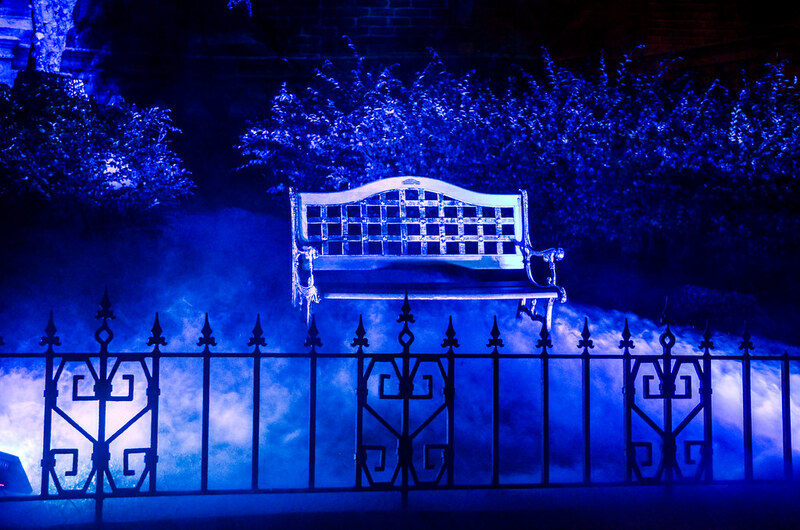 But, is the Haunted Mansion actually haunted? Do ghosts actually hurt people? Are ghosts even real? I’m not the man to answer those questions, I’m just the man who writes this blog post and I give this category an 8/10. There you have it, the best place to sleep if you get locked in a U.S. Disney Theme Park is on the floor of the Matterhorn’s mini basketball court. I’m sure no one could argue with the science behind my thoughts, but I’d love to hear a few other buildings that you may think are good options. 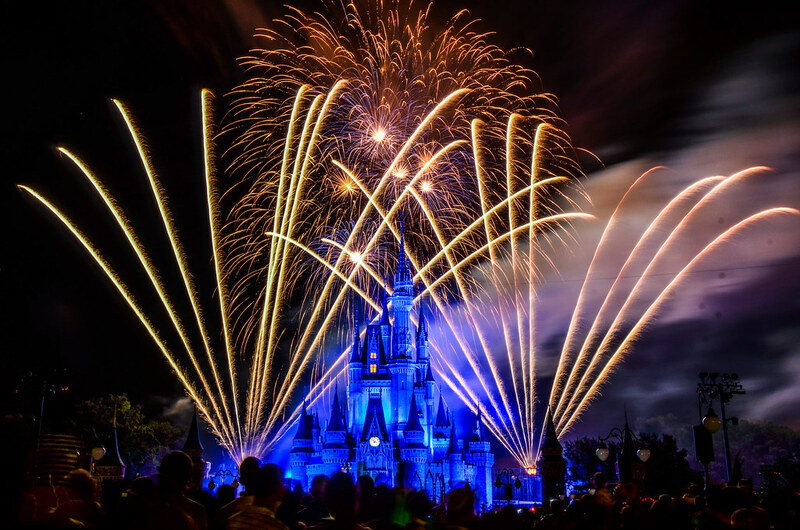 And if you’ve never read this blog before, most other posts are way less ridiculous and approximately 37 times more helpful to you planning a Disney vacation. 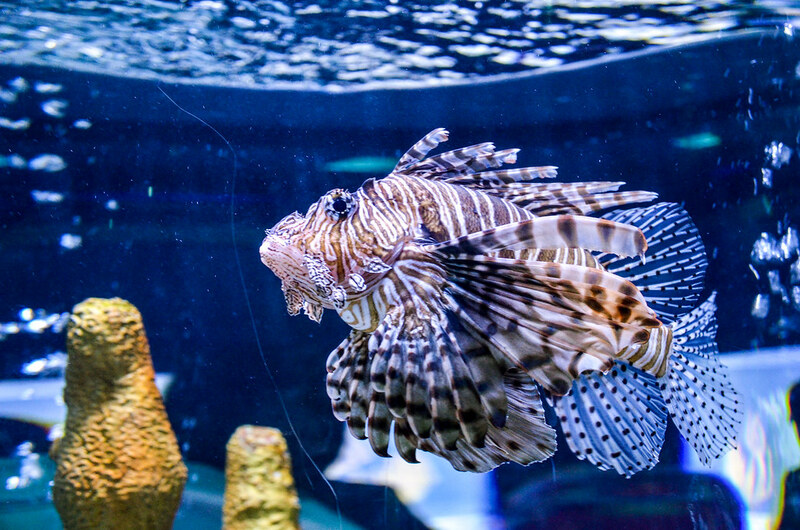 Thank you for reading, this is our 300th post on the site and we’re honored by your support.